Here we are excited to give you our Sword Coast Legends review. 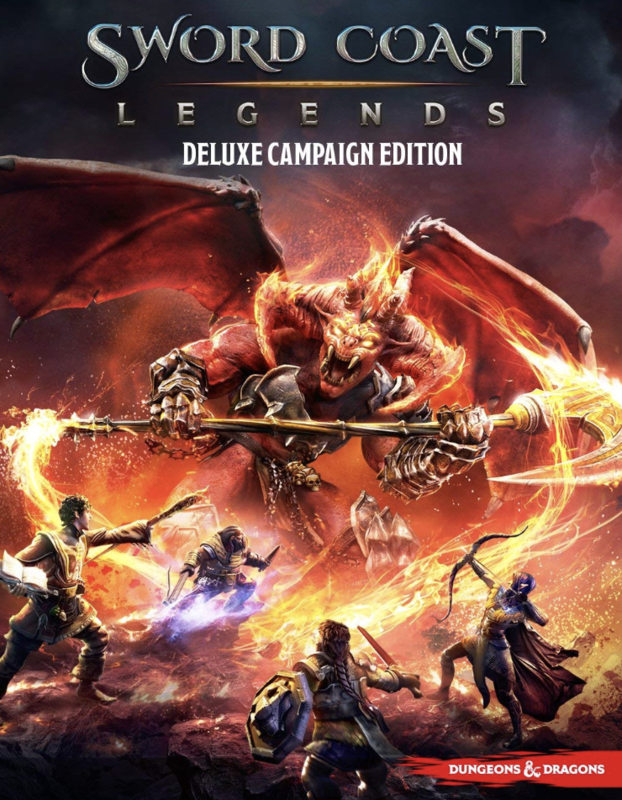 Sword Coast Legends is the newest entry into the long series of video games based on Dungeons and Dragons. It bills itself as a kind of D&D Diablo. What’s not to love there? 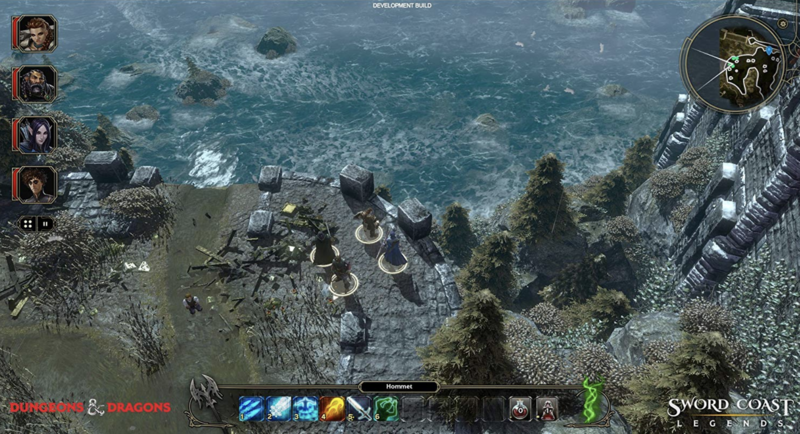 The game utilizes the typical story mode and multiplayer features you’d expect from any modern Role Playing Game (RPG). SCL also features a level editor which is designed to let players be the Dungeon Master of the game. Though the game itself came out a few years ago, it’s still fun to go back and take a look. What Makes Sword Coast Legends Unique? 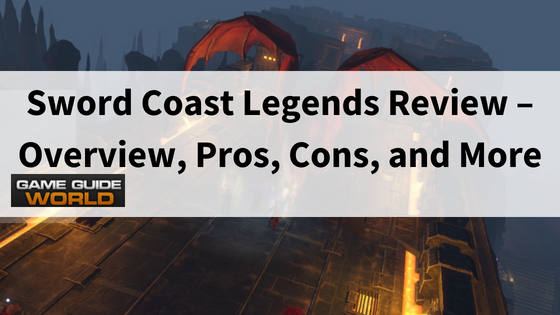 If you’re a classic D&D gamer, you’ll probably be disappointed to hear that Sword Coast Legends is a loot RPG. The phrase "loot RPG" means that Sword Coast Legends’ gameplay consists of killing things and collecting loot. The loot you amass can then be used to kill things and get better loot. This process of gameplay repeats ad infinitum. The loot RPG model can work well for a game such as Diablo. It might prove a little disappointing to D&D fans looking for the next Neverwinter Nights or Baldur’s Gate. Speaking of which -- both of those titans have had updated re-releases of late. That said, the model works for a reason. Back in the day, people who enjoyed playing older war games and RPGs called D&D campaigns like this “Monty Haul campaigns." Sometimes you want to sit back, hack, slash, and loot. Sword Coast Legends delivers here in a big way. The included campaign isn’t incredibly challenging to an experienced gamer. You can sit back, relax, and enjoy a decently-written tale about the Forgotten Realms. There are three main mechanics that set it apart. First, you travel with a party and can pause the game to issue members of the party orders. That’s a change from other similar games in the genre. Most loot RPG games stage you as a solo warrior or with an Artificial Intelligence (AI)-controlled companion or two. The ability to pause is also lovely, as it allows you to plan your path and next moves. Second, the game features a typical skill tree/cooldown system. While not different from most other loot RPGs, this is a departure from past D&D video games. The skill tree is one of the more contested features among the game’s fandom. The system as it exists works well, but wish that the design team had merely implemented the 5th Edition D&D ruleset. Finally, and possibly most importantly, Sword Coast Legends offers the ability to revive your companions during combat. No spells or skills are required to accomplish this. This feature somewhat lessens the feeling of dramatic tension when a party member goes down. But it also means that you are not continually save-scumming your way through the more difficult levels. Once again, the comparison to Neverwinter Nights comes to mind. Instant revivals mid-combat are less immersive, but it beats heading back to the healing pool ten million times. To a modern PC, Sword Coast Legends is nothing. A standard work desktop customarily relegated to the realms of word processing and browsing with an integrated GPU can run this game. Heck, a 10-year-old laptop gathering dust on your bookshelf can run this game. Honestly, the most significant hardware challenge may be the amount of hard drive space required. At only 20GB, though, it isn’t a big deal in the age of the terabyte of storage space on most systems. Don't fall out of your chair, but the specifications even list “Windows Vista” as a supported operating system. As always, you can check to see if your computer can handle Sword Coast Legends over at its System Requirement page. Surprisingly, the low system requirements don’t lead to terribly poor graphics. Pumping up the settings to the max results in a serviceable rendition of D&D’s greatest hits. You will, in fact, find both dungeons and dragons to be present, and both look pretty good. The character models can be on the blocky side, but the monsters look great, and the environments are stunning. You will especially love the titular red dragon and beholder models. Finally, the game features some tremendous book-style line art that brings the classic Wizards of the Coast art style to the screen. Unlike some other video game adaptations, it was always apparent that this was the digital version of D&D. Soundwise, there isn't much to report. The game’s sound quality checks out OK. The music is somewhat generic and forgettable, but you might find yourself humming a track or two after you quit for the night. Sword Coast Legends’ cast of voice actors is a little more all over the place. Sometimes there was the feeling that absolutely nothing could excite certain characters. Other times you might want to lean back in your chair a bit to get away from all the yelling. 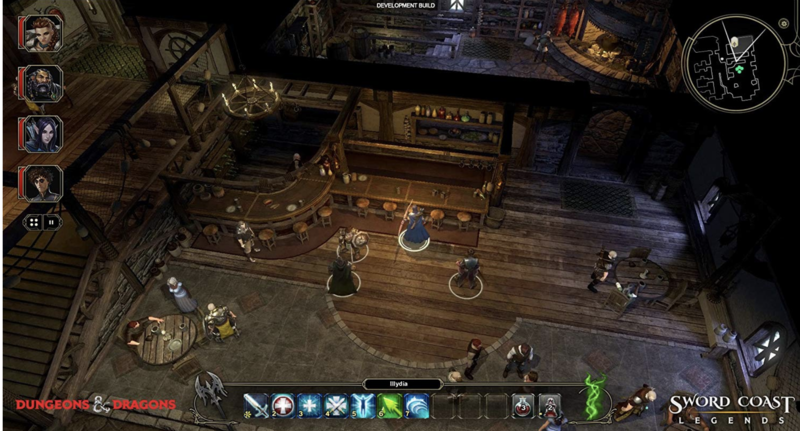 Overall the game has a kind of community-theatre charm that aids in the D&D experience. Sometimes you want something that checks the genre’s boxes. Sword Coast Legends’ character acting delivers on that front. A loot RPG that’s not subscription-based or pay-to-win? Quick, take a photo before it vanishes! There’s only one real downloadable content (DLC) available. The Rage of Demons campaign is free and has none of the usual overpowered junk to spend hundreds of dollars purchasing. We consider that a good thing. Other game makers, please take note. Since SCL is a couple of years old at this point, it’s a little more challenging to find. When you do locate it. The game has its challenges, but as a bargain title for a bit of hack-n-slash fun, the price is excellent. As much as I want to be able to say “Neverwinter Nights” here, I just can’t. One of the most talked-about pieces of the Sword Coast Legends puzzle before its release was the Level Editor. Unfortunately, the highly touted editor is barely functional. While it’s easy enough for an eight-year-old child to use, there are also no features that an eight-year-old old wouldn’t understand. Genre staples such as tile-by-tile building and branching dialogue are just missing. For anyone at the Dungeon Master level, this will be a huge letdown. One answer is probably “Diablo,” and by that, I mean the first version of Diablo. Sword Coast Legends has more story than your typical loot RPG. At times you might even find yourself caring about the characters. The game’s combat system warns you that “[CHARACTERNAME] is in danger!” sometimes. Seeing that might cause you a small tinge of worry. You’ll like SCL best if you’re a fan of the Forgotten Realms but don’t want a deep plot. That section of Realms fans is pretty small though. Still, it’s nice not to have to take notes to remember every Non-Player Character’s (NPC) name. Sword Coast Legends is the kind of game that you might play for an hour or two after work. You probably won't be marathoning all weekend with it. Ultimately, Sword Coast Legends isn’t the game that the D&D faithful were hoping to play. It’s not bad, per se, but it also isn't anything special. Considering the heritage of the D&D name, that’s not enough to impress. As much as we want to love the game, it falls squarely into the category of “so okay it’s average.” If you want some mindless Diablo-clone fun in a Forgotten Realms skin, though, look no further.